Posted on 01/26/2012 by Carlos Soto, Jr.
…when you’ve discovered your life’s calling or the tangible path to your wildest dreams. Along the way people will think you’re crazy or unqualified. The desires of your heart will seem silly to them, even childish…Stay on the bus! At times, your passion will turn into pain…you’ll have to work through it. Your excitement will turn into embarrassment…you’ll make mistakes. Either way…Stay on the bus! I don’t have time…I can’t afford it…I don’t like who’s in charge…I’m frustrated…It’s become a chore…I don’t love it anymore. 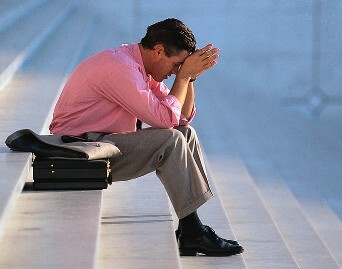 Everyone experiences feelings of discouragement and doubt. Everyone. Including you and me. The bus keeps moving. The bus will have to stop to let you off. But there is no guarantee that it will stick around and wait for you to decide if you’re going to get back on (especially if the bus involves a team that still has a job to do). There is a good chance you’ll find everyone else has moved on. This means should you decide to get back on you’ll have to catch up. That could take much longer than you thought. In some cases, there is no bus to be found. They’re long gone. You’ve lost momentum. I hear this all the time – “I just want a break. I’ll get back to it when I’m ready.” 99% never get back. People who take a “break” now have all this extra time that they eventually fill up with something else. Which in itself isn’t a bad thing. But it’s probably not their true passion. This new “time filler” becomes baggage. It’s extra weight. Newton’s principle of inertia kicks in and you discover it takes much more energy to get moving again than if you would have just kept going. Your true calling sits there idly. It becomes more and more difficult to get back to your passion. It becomes easier and easier to ignore it…leaving you unfulfilled. I have some dreams. They’re pretty outrageous by society’s standards. I want more time with my family. I want to start a small business and build it to its full potential. I want to be in full-time ministry (as a music director…wha?!?!?!). I want to be a free-lance illustrator. P.S. – Feel free to share your story in the comments section below. 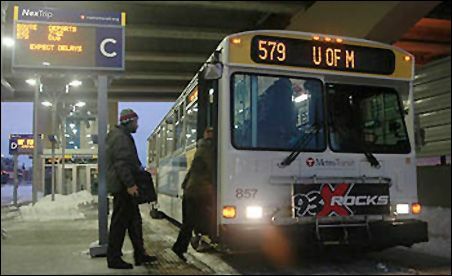 What happened when you stayed on your bus? It might help encourage someone! Posted on 10/13/2011 by Carlos Soto, Jr.
…and you still didn’t get the job. Losing when you were prepared for and expecting the win is one of the hardest things to accept. The roller coaster of thoughts and emotions when a man finds out he isn’t getting promoted, he didn’t close the deal, or he wasn’t chosen to lead the project can make for a wild ride. It’s completely understandable. Fighters train for months before the event and they don’t train to lose. All the time, sweat, and pain put into preparing for a fight doesn’t get categorized into “just in case I lose”. That’s what makes defeat so hard to digest. It may seem all that time spent preparing was a waste. In my opinion, the time after a defeat is a crucial point. How you handle the loss is just as important as how you handle the win. Keep an open mind. Could it be the master’s degree you are proud of, the experience you think you have, or your amazing organizational skills simply weren’t enough at the time? Resist the urge to beat yourself up for being the loser. Instead, take the steps necessary to find out why you weren’t promoted and improve in those areas. Be gracious to the person who got the job. Go out of your way to congratulate them, if possible. You never know what your working relationship is going to be with that person 5 years from now. Top MMA fighters know how to handle the losses that come in between the wins. They know the next level of training and preparation starts with the answers revealed in the defeat. That’s part of what makes them the best. Great fighters uncover the opportunities hidden in losses and make their defeat a part of their destiny. A destiny of winning. Posted on 09/29/2011 by Carlos Soto, Jr. I started wondering why some would think this of me. What are you allowing to affect your identity? Huh?!?! How does this even relate? When a person doesn’t identify them self with changing circumstances, then changes in circumstances won’t affect their identity. I don’t identify with the negative words that some may say about me because I know what God says about me. I work well with those in positional authority over me because I don’t identify with how they can make my life easier. I figure out how I can make them successful. I’m not immovable when it’s necessary to change because I don’t identify myself with the status quo. I look for the opportunities that become possible when challenges occur. I’m not paralyzed by fear when asked to try something new because I don’t identify myself by the mistakes I might make by simply trying. I look forward to what I might learn from the experience. These are just examples of how I think. How does this apply to you? 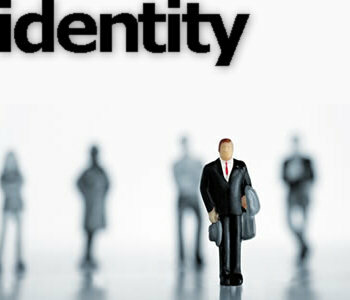 It’s simple really…the power over your identity is yours and no one else’s. Posted on 07/04/2011 by Carlos Soto, Jr.
America has had a long history of struggles against those seeking to destroy the freedoms we so cherish. Many saw fit to pay freedom’s worth at home and on the front lines in service to this great nation and we honor them – especially those who paid for freedom with their very lives. And yet, as much as we hold our civic freedoms as a core value, there is a higher form of freedom. You’ve heard the saying, “You will know the truth and the truth shall set you free.” Typically, it’s used to highlight an education’s importance. But have you ever stopped to appreciate the context of this quote? It actually comes from the bible in The Book of John, Chapter 8. 28So Jesus said, “When you have lifted up the Son of Man on the cross, then you will understand that I Am he. I do nothing on my own but say only what the Father taught me. 29And the one who sent me is with me—he has not deserted me. For I always do what pleases him.” 30Then many who heard him say these things believed in him. Your social status is probably not that of a slave, but you can still be a slave to the effects of sin. Even in America. Christ’s business is to take people from slave-ship to son-ship and that is where true freedom resides. Freedom is more than the right to choose our next president or the right to do what we want, when we want. Real freedom is freedom from sin that gives us the ability to live our life the way God destined it – free and without hindrance. 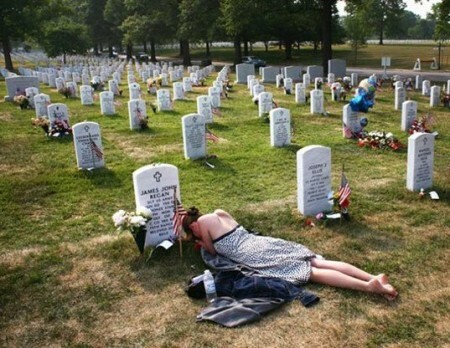 To truly know the value of freedom, we must understand the price that was paid to obtain it. Freedom is so precious that God was willing to pay the highest price for it. 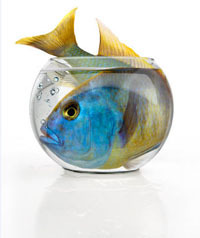 Posted on 07/01/2011 by Carlos Soto, Jr.
Are you a big fish in a small bowl? If the only people who ever communicate to you that you are good at what you do are your parents or close friends…you’re a big fish in a small bowl. If you never prepare for what you do and “winging it” is the acceptable modus operandi…you’re a big fish in a small bowl. If in your leadership, you rule your team with an iron fist and it’s “your way or the highway”…you’re a big fish in a small bowl. If you never take time to learn from others that are farther along in your endeavors than you are…you’re a big fish in a small bowl. If you’re content with “going with the flow” and “never swimming against the current”…you’re a big fish in a small bowl. If all you do is complain about the culture around you and do nothing to create culture…you’re a big fish in a small bowl. If you can’t take honest criticism of your work without getting your feelings hurt…you’re a big fish in a small bowl. If you’re afraid to chase your dreams because you only focus on how you will fail…you’re a big fish in a small bowl. If your faith is only strong enough to get you through things that you can most likely do without God’s help…you’re a big fish in a small bowl. Fish will only grow as big as their surrounding environment allows. Once they reach their environment’s limit, they stop growing. They end up the big fish in a small bowl. You basically have two choices for big fish/small bowl syndrome. Stay where you’re at and stop growing, or make a quality decision to constantly expand your environment. Bigger bowls produce bigger fish. Posted on 06/18/2011 by Carlos Soto, Jr.
So…I just finished attending an amazing class titled “A Life of Worship” taught by Jeri Nicholson (@JeriNicholson) from Champion Centre. If you were to ever experience one of CC’s worship services, you would no doubt come to the conclusion that there is something very special going on out there! This class was my first opportunity to meet Jeri in person and I think what I really appreciate about her – other than the usual traits of a worship leader (musical talent, energy, etc.) – was that although she is a part of this world-changing ministry, she is also very approachable and as authentic a person as you could ever imagine. In “A Life of Worship”, Jeri spoke on The 10 Commandments (of an effective worship team). She incorporates these into her own team ethics and some of what she had to say was such a relief to hear as a worship leader. I’m passing my notes to you (in original King James Version flavor) because these principles really can be used by any team in any area of ministry, business, or industry. Thou shalt be a worshipper and love the Lord your God with all of your heart, soul, mind, and strength. 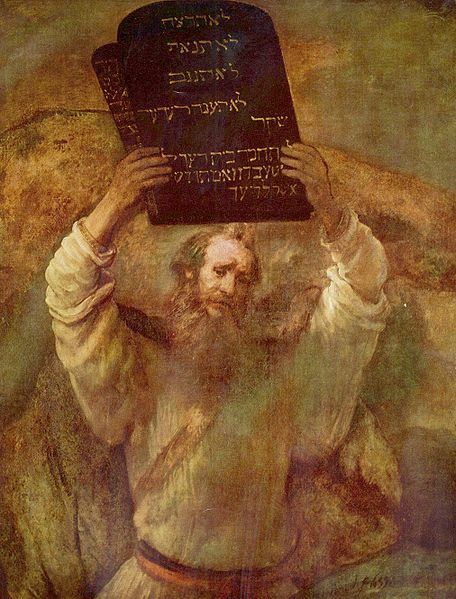 See Deuteronomy 6:4-5. Thou shalt be a lover of the house of God. If you don’t love the house, then you shouldn’t be on the worship team. Thou shalt be a “life-giver”. We should be life-giving on and off the platform. Thou shalt be faithful to the team and be “on time” for rehearsals and services. Thou shalt taketh the time to learneth thy music! The team is only as good as its weakest musician/singer. Thou shalt not covet thy neighbor’s “solo” or position. Don’t be jealous when others get the solo/part. Celebrate with them. We aren’t competing with each other. Success is achieved when the whole team is successful. Thou shalt know that there is a cost! There is always a cost associated with being a part of something great. Thou shalt love the “Giver of the gift” more than the gift. Don’t mix this up. You can’t impress God with your gift…He gave it to you! Thou shalt have a “win/win” attitude and heart. The church (or organization) shouldn’t have to suffer so an individual can win. Likewise, the individual shouldn’t have to suffer so the church can win. Posted on 06/11/2011 by Carlos Soto, Jr.
Another great worship song from Hillsong.